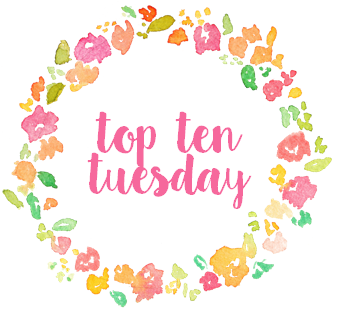 Top Ten Tuesdays are hosted by The Broke and the Bookish, where we make lists of our top ten books based on that week’s prompt… and then we stalk other people’s answers to add a million books to our TBR. The topics are provided ahead of time and can be found here. Links go to Goodreads or my review. For real though, my favorite time of year for reading is SUMMERTIME. I save allll of the beachy, road trip, summery contemporary books for June, July, and August. These types of books are my favorite and I make sure I read them when the weather matches! Reading on the beach, outside, on my porch, by the pool, in the pool – you name it, I’m there. Reading. All summer. DAMN why did I change my career ideas to something year-round, 9-5? Someone go back and punch high-school-Lauren in the head. Check out my summery shelf on Goodreads and my summer book recommendation list (pardon the formatting and ugliness – it’s an old post. Also you will not be surprised to see that I have more than ten books on this list… duh. 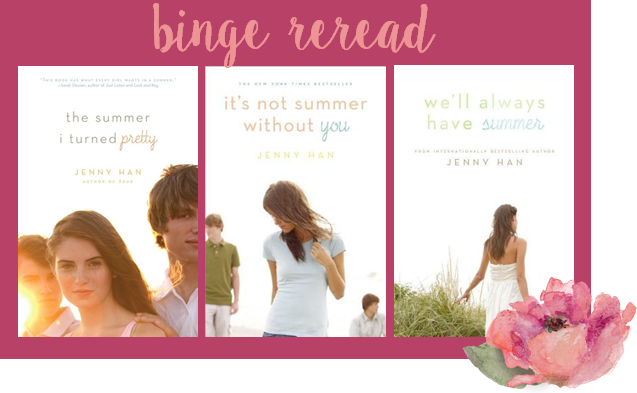 If you haven’t read The Summer I Turned Pretty trilogy by Jenny Han, I’m not sure what you’re waiting for! …well, unless you have an aversion to love triangles. I binge-read this series maybe 3 summers ago and have wanted to revisit ever since. Target is releasing a gorgeous new bindup of the trilogy (TODAY!!) that I plan to buy immediately and hopefully reread this summer. 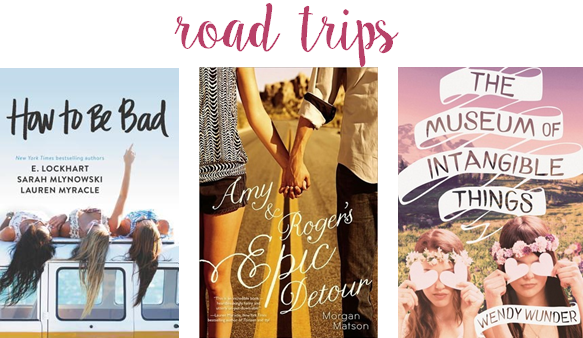 YEP it’s finally time for me to get to Amy & Roger’s Epic Detour by Morgan Matson. Aside from her Katie Finn books, this is the last MM book I have to read. I love her writing SO MUCH and don’t know why I’ve delayed this one. It’s ready and waiting on my Kindle. Another book I’ve wanted to read foreeeeever is The Museum of Intangible Things by Wendy Wunder. It’s another road trip book that hopefully gives me some wanderlust. Judging from the synopsis, the focus will be on friendship instead of romance and I highly welcome that. I saw How to be Bad by E. Lockhart, Sarah Mlynowski, and Lauren Myracle at the store a few weeks ago and almost bought it on the spot. I just love that cover for some reason. It’s another book that was republished with a new cover this year; it promises “fun, friendship, and feminism” – I’M IN. I’m super in the mood for this series. 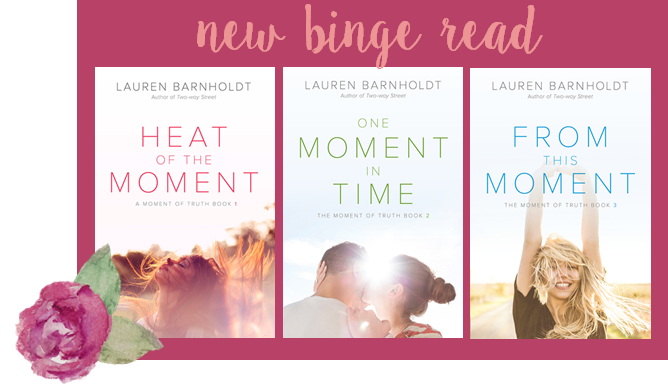 The Moment of Truth trilogy by Lauren Barnholdt has such an interesting concept: each book follows a different girl in a group of ex-best friends. They’re each delivered an email that they wrote to themselves freshman year about goals they wanted to achieve by graduation. Now, they’re facing the end of high school and trying to keep the promises to their old selves. I guess if you read all three books you get the full story and see how they hopefully can bring their friend group back together. Best part? Book one came out in May, book two comes out in June, and book three comes out in July. What books are you going to read this summer? 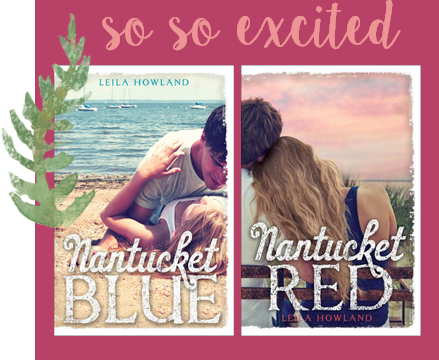 Are you obsessed with summery, beachy reads like me? Link me up to your TTT – you know I need recs! I loved this topic, too! You have some great ones lines up. Perfect summer reads! I hope you enjoy them all! Several authors on your list I really need to try soon. I was really excited about this week’s topic as well! great list! I’ve heard alot of good things about My Life Next Door! hope you enjoy it! great list this week! The Moment of Truth series looks like such a great summer read! I’ll definitely have to add it to my TBR. And it’s perfect timing for me, because I’m graduating high school this June, too! I haven’t read The Summer I Turned Pretty, but I have the To All the Boys duology in my bag for this week’s! Here’s to hoping they are as great as everyone says! YES! The beauty, road trip, summery feeling is why I haven’t read Joyride or The Night We Said Yes yet, but I’m definitely going to! I love reading books that match the weather, it’s so nice. The Summer I Turned Pretty! I was just talking about that on another blog. It’s so cool to read books about places you’ve actually BEEN because they just bring back the feeling you had when you were there! I haven’t heard of Katherine Applegate really, but her books sound fun! My Life Next Door made my list! I really really need to read it. I need to obtain it in Kindle form and paperback because they’re both too cheap to NOT justify buying both. 😉 Yep, that’s my book buying logic there for you. I like switching back and forth too, I’ve done that with The DUFF and I’ll probably do it with The Wrong Side of Right too. Amy and Roger made my list as well! I was thinking about adding The Museum of Intangible Things to my list too but decided against it for some ridiculous reason I can’t now remember. 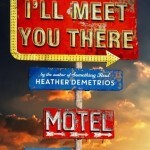 Lauren Barndholdt’s series sounds really interesting and I’m really interested (ew, repetitive) in reading the series! Even…if it’s gotten less than flattering reviews. 🙁 No matter, I’ll ignore that. 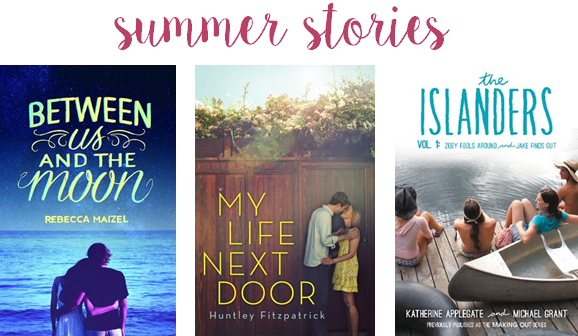 Katherine Applegate’s Summer series is definitely easy, fun reading. I definitely plan to switch back and forth between My Life Next Door on Kindle and physical haha. I’ve always wanted to read the Summer trilogy by Jenny Han. I’ll have to see if one of my local targets has it because that would be such a simple solution. I’m also planning on reading The Moment of Truth trilogy. All three books like they are going to be amazing. Plus I’m hoping that they are light with just a little bit of substance. 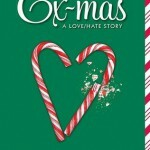 As long as you don’t mind love triangles, I think you’ll like it! And I totally agree about Moment of Truth. Seems really interesting! I am pretty much the opposite to everyone! I love reading in the summer yes, but people choose summery and light hearted reads. I tend to get my heavy and long reads out of the way in the summer so that I have more time to read light things in the year when school has me down! I will be trying Clash of Kings by George R.R. Martin this summer. But I do think the Summer I turned Pretty is a series I need to try at some point! That’s actually a really good iddea – I could definitely see myself doing that if I were still in school.